Appetizer season is upon us, from family gatherings to early holiday feasts, finger foods are a must have at any event & they shouldn’t be a dish you stress yourself over! These grabbable baguettes are topped with our fresh & herbal bruschetta & then drizzled with a sweet balsamic reduction. Pre-prep them ahead of time, or let your guests top their own! With wholesome & fresh ingredients this bruschetta is a classic hit. I’m guilty of eating this as a quick lunch or snack at least 3 times a week. It’s just so easy to whip up a large batch & keep it on hand for busy afternoons or when that unexpected guest swings by! Whatever this busy season throws your way we hope you keep your cool & are always prepared to impress your guests with this fresh & sweet balsamic glazes bruschetta. If you remake our recipe why not show us how it turned out, or how you changed it up to make it your own! 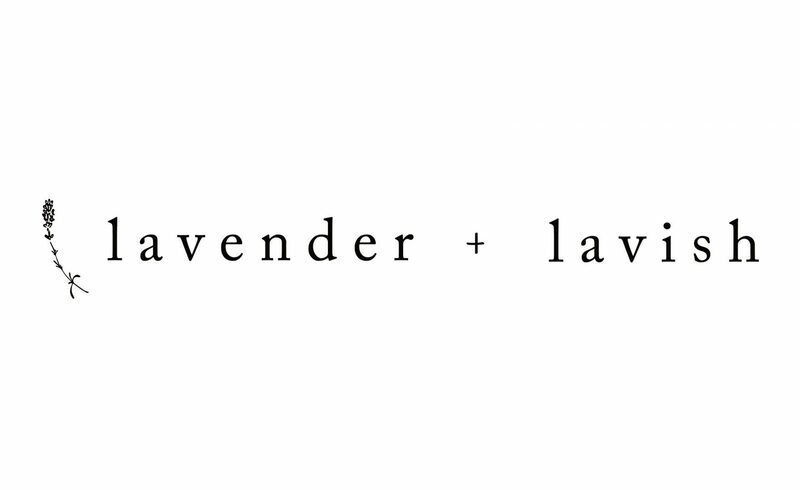 We love seeing your photos so make sure to tag us @lavenderandlavish on instagram so we can take a peek. RECIPE: Makes 2 1/2 cups of Bruschetta. 5 minutes prep, 5 minutes to reduce. Add all of the ingredients to a food processor or high speed blender. Pulse several times or until all ingredients are well combined and chopped. Taste the bruschetta and adjust spices as desired. Add 1/4 cup of balsamic vinegar to a clean pot and turn your stove to medium-high. Allow the balsamic to come to a boil & add in 1 tsp liquid sweetener of your choice. Whisk this mixture as it boils and allow it to reduce, about 3-5 minutes. Keep an eye on it to avoid burning the glaze. Add 1 tbsp bruschetta to slices of toasted baguette or to your favourite cracker. Top this with a drizzle of the balsamic glaze & serve to all your favourite dinner guests. I just love using Aceto balsamico with tomatoes, and especially on Bruschetta, just a drop makes the whole dish work so much better!